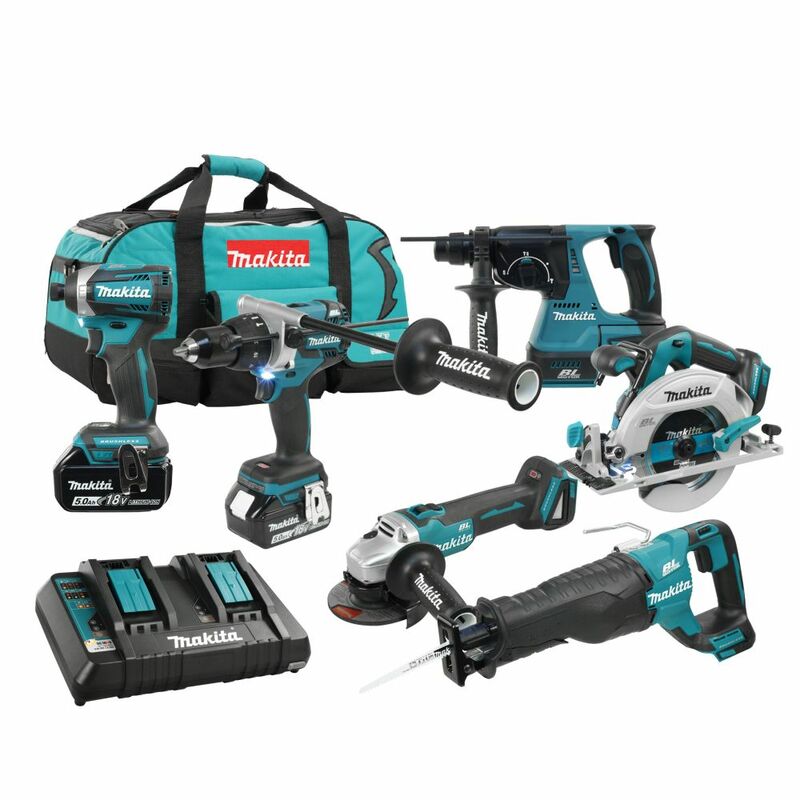 The Bosch CLPK222-181 18 V Cordless Combo Kit is a two-in-one timesaver for pros of all trades who need top-of-the-line power in a conveinent package. This kit includes the Bosch HDH181X Brute Tough 1/2 In. Hammer Drill/Driver and the Bosch 25618 1/4 In. Hex Impact Driver. The drill/driver includes Active Response Technology, which diminishes the risk of injury from bind-up situations. Its four-pole open-frame motor supplies 750 In.-Lbs. of torque and up to 27,750 BPM. The impact driver is up to 27 percent faster than other drivers in class, providing 1,500 In.-Lbs. of torque, 2,800 RPM and 3,200 BPM for professional driving applications. The included two 18V Lithium-Ion FatPack Batteries and a Bosch BC660 charger ensure these tools run continuously and all day. The Bosch GXL18V-225B24 18V Combo Kit provides cordless productivity and versatility. It includes two CORE18V batteries and two powerful tools. The IDH182 EC Brushless 1/4 inch and 1/2 inch Socket-Ready Impact Driver takes screwdriver bits and sockets, for an all-in-one tool with driving power up to 1,650 inch-lbs. of torque. The HDH183 1/2 inch Hammer Drill/Driver features KickBack Control, which reduces the risk of sudden tool reactions in binding conditions. It is engineered with an all-metal chuck and an EC Brushless motor delivering 663 inch-lbs. of torque. Each CORE18V 6.3 Ah battery provides 80% more power than the previous-generation batteries, providing performance comparable to competitor batteries that are up to 35% larger. It features CoolPack 2.0 technology for longer battery life, and it is backward and forward compatible with all Bosch 18V tools and chargers. The included Bosch BC1880 18V Fast Charger can charge a spent CORE18V to 80% in 41 minutes. The DEWALT 20V MAX Combo Kit is designed to surpass professionals' expectations with tools that have the power to withstand rigorous jobsite applications, while also providing comfort and ease of use. 20V MAX tools deliver up to 57% faster application speed and up to 35% greater runtime than other leading 18V lithium-ion tools. The 20V MAX Lithium-ion Five-Piece Combo Kit provides the convenience of maintaining one kit for many of your cordless power tools, for the professional who demands the convenience and versatility of cordless. The DEWALT 9-Tool Combo Kit (DCK940D2) is ideal for just about any application on the job site or at home. This kit features a drill driver, impact driver, reciprocating saw, circular saw, oscillating tool, grinder, right angle drill, Bluetooth speaker and work light. The DCK940D2 is backed by a DEWALT 3-year limited warranty for added peace of mind, so you can count on tools that are built to last.